Ahhh, the sweet and savory combination of honey and BBQ sauce; has there ever been a more delicious match made in heaven? 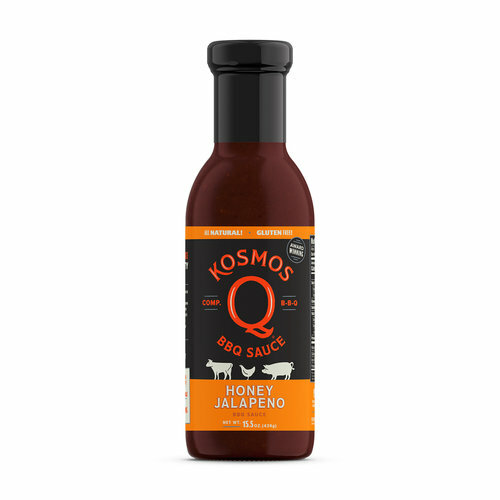 Every sauce is rigorously tested and improved until it reaches tastebud-quivering perfection, and Kosmo's Honey Jalapeño BBQ sauce is not making any exceptions. Rely on it for any occasion, barbecue competition or backyard cookout, for that extra Q factor people won't be able to stop talking about!